Christmas time can come at a great price to the environment. There is little that is sustainable about tons of cards, wrapping, packaging, and shipping. 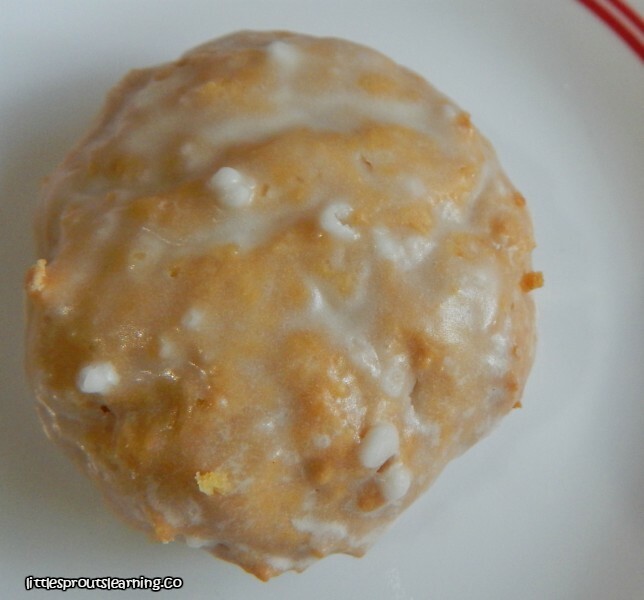 I love giving homemade edible Christmas gifts because I can control the amount of packaging I use, I can use packaging that is recyclable, and I know the gift itself can be consumed rather than end up in a landfill someday. Edible holiday gifts can be packaged in reusable glass containers such as mason jars. They can also be packaged in minimal packaging such as thin bags that don’t take up as much room in the landfill as other things. 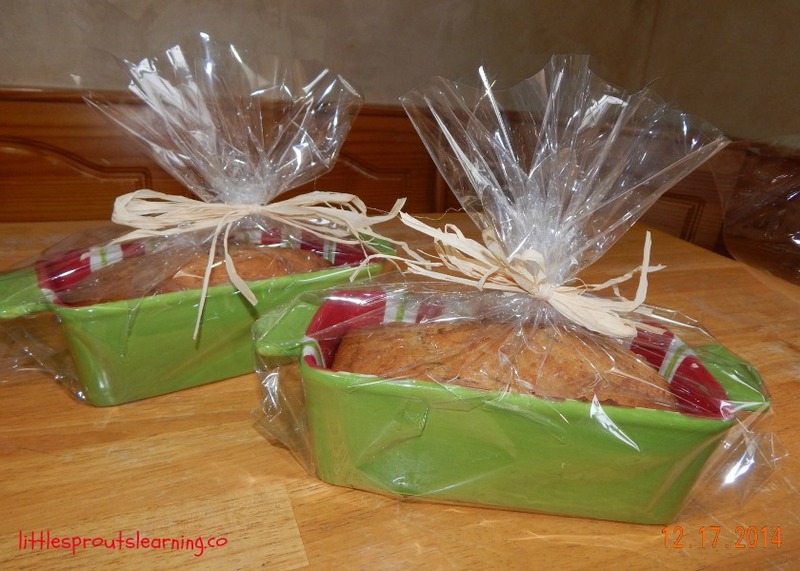 I love using tins, baskets, and other reusable containers to package my edible gifts in. Think about what you use to present your gifts, you may be able to think of a less wasteful alternative if you give it some thought. Another great way to give edible gifts (and even some non-edible) is by growing them yourself. We grow so many great things in our garden, and many of them can be turned into thoughtful gifts. I love how great this is for the environment. Many can even be given with NO packaging ever involved in the giving or the processing. What a win for our future and the sustainability of our earth! There are tons of great things that can be made with your own hands. 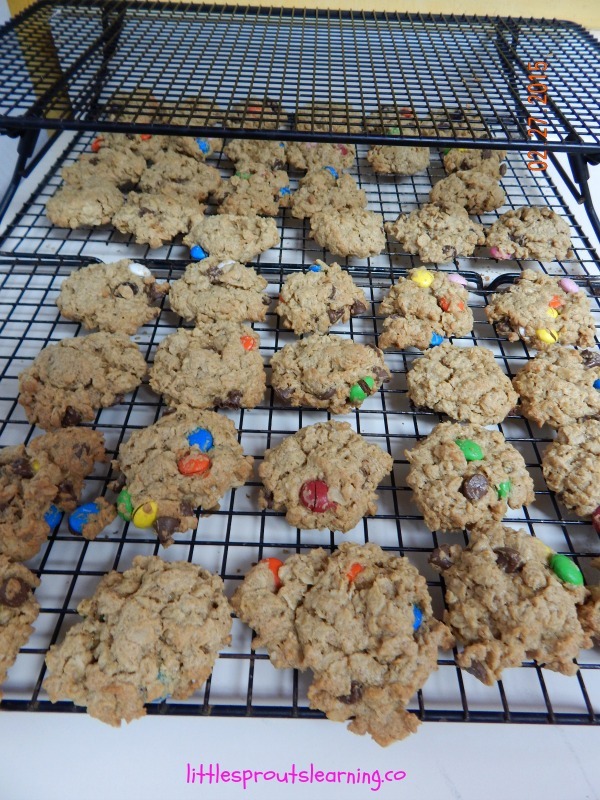 Edible Christmas gifts are thoughtful and show love to those you chose to make them for. People appreciate heartfelt gifts. I LOVE knowing that my gifts were thoughtful as well as cut down on waste for the environment and leave a better place for all of us to live. There are so many Sustainable Gifts you can give this Christmas. It will cut down on so much waste going to the landfill in the future and leave the earth in better shape for future generations. 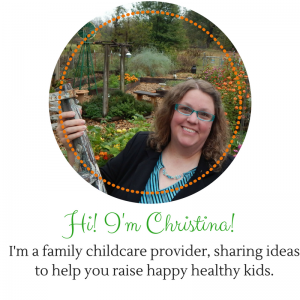 Check out these awesome ideas from some of my blogging friends. I love giving homemade gifts. And spending time with my grand kids making some of them. Hot cocoa mix and marshmallow dipped spoons are their favorites. These are my favorite kind of gifts. Mine too, to get or give! That homemade bread looks delicious! So many choices, and packaged so pretty. 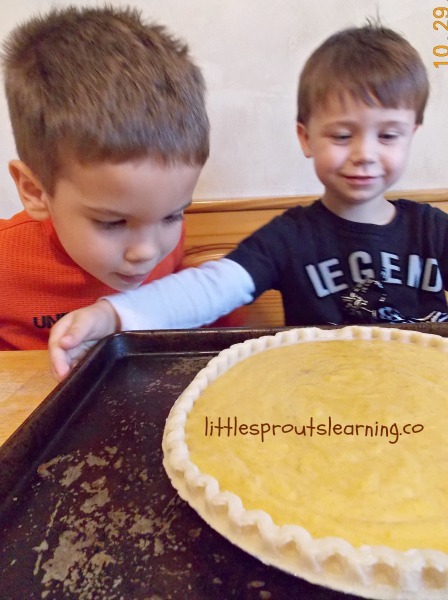 We try to make a few edible gifts to give to neighbors and friends each year. (We have already been given hints about what they would like this year!! How fun. Thanks for checking it out! As a recipient of many of these delicious gifts, I can say this is a great list! I love the list of gifts from the garden, but I would be excited to receive any of these! These are great ideas, many I hadn’t even considered! I’m definitely going to try a few. I love my homemade vanilla! And yes, it makes a wonderful gift that can be used all year long. 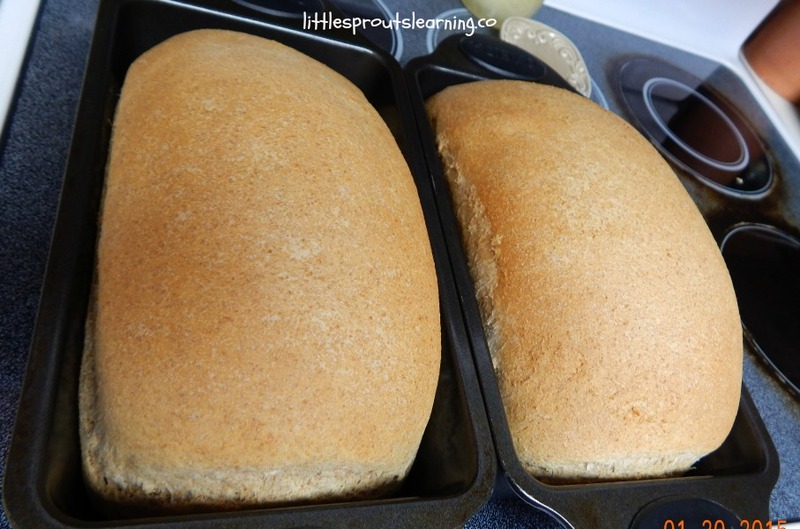 The homemade bread in the pretty pans is a good idea too. Who wouldn’t love to receive these great gifts! I need to make myself some homemade taco seasoning. I’ve been meaning to do that forever. Oh, it’s soooo good. 🙂 Thanks for reading! Great post! 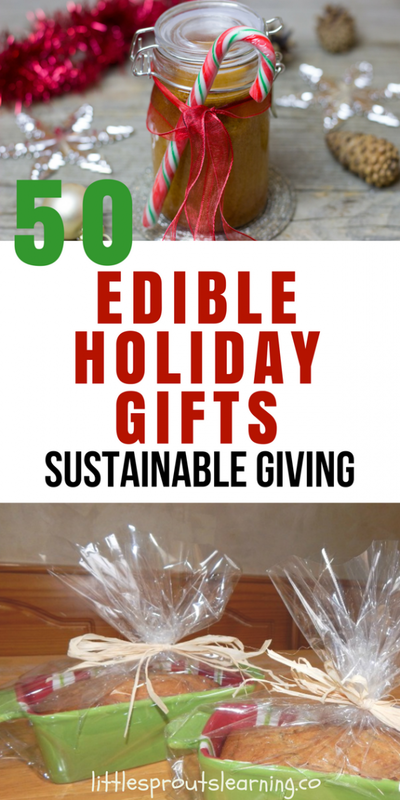 It’s so cool to see all the different ways we can give gifts sustainable! What a great list! I think that edible gifts are a great option. Everyone eats! 🙂 Thanks for sharing.